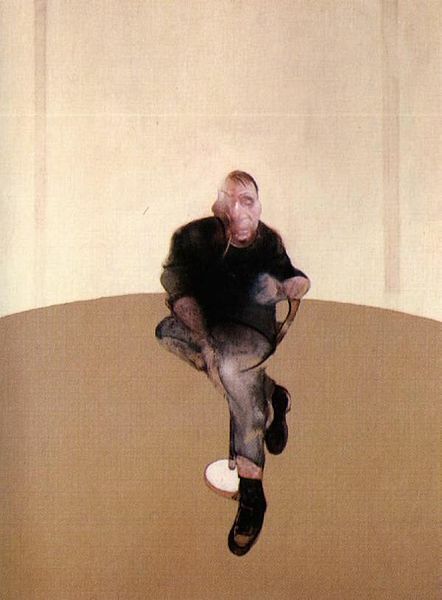 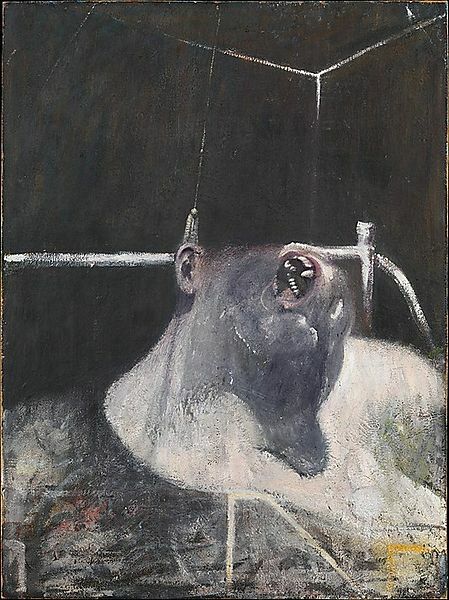 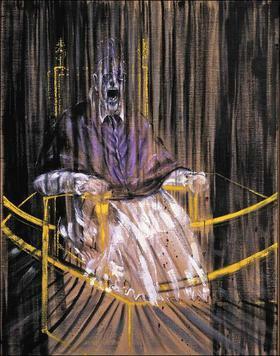 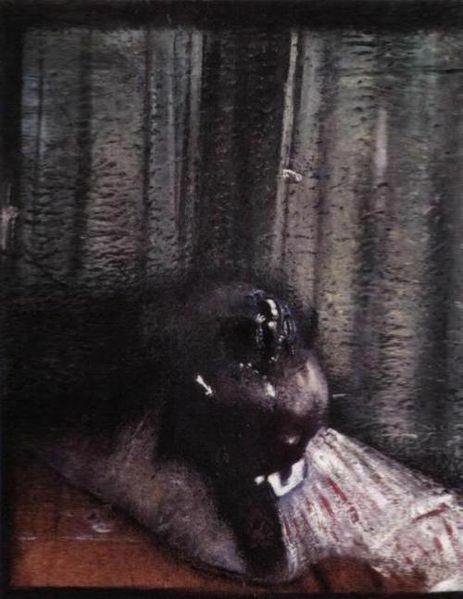 Francis Bacon (28 October 1909 – 28 April 1992) was an Irish-born British figurative painter known for his bold, grotesque, emotionally charged and raw imagery. 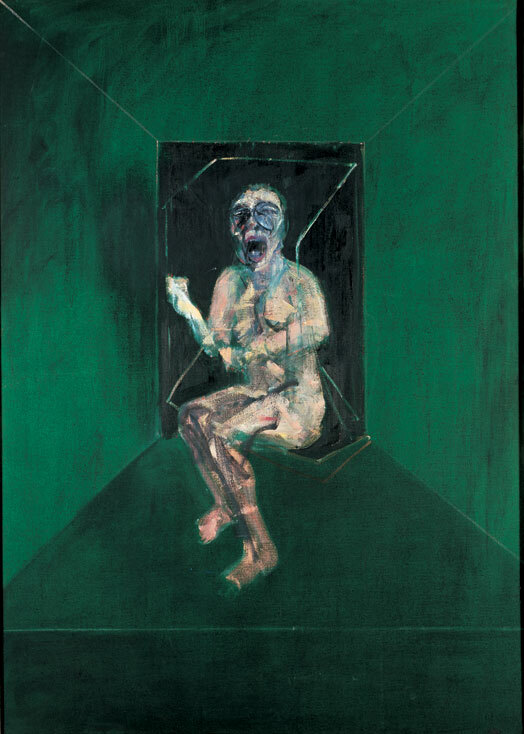 His painterly abstracted figures are typically isolated in glass or steel geometrical cages, set against flat, nondescript backgrounds. 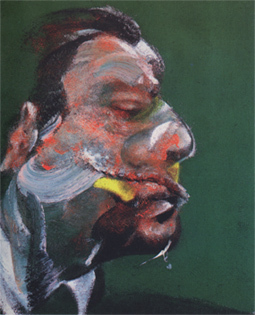 Bacon took up painting in his early 20s but worked sporadically and uncertainly until his mid-30s. 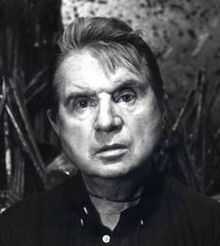 Unsure of his ability, he drifted as a highly complex bon vivant, homosexual, gambler and interior decorator and designer of furniture, rugs and bathroom tiles. 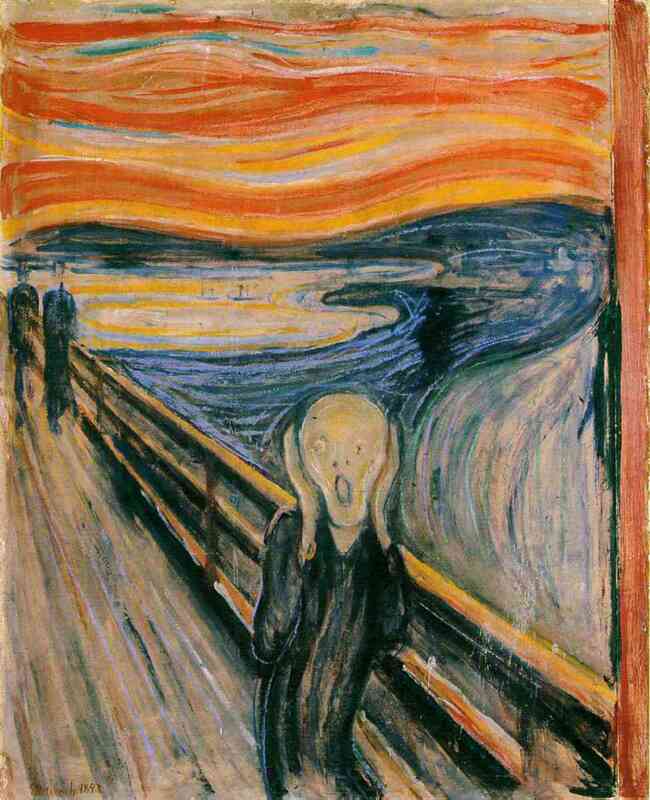 He later admitted that his artistic career was delayed because he spent too long looking for subject matter that could sustain his interest.